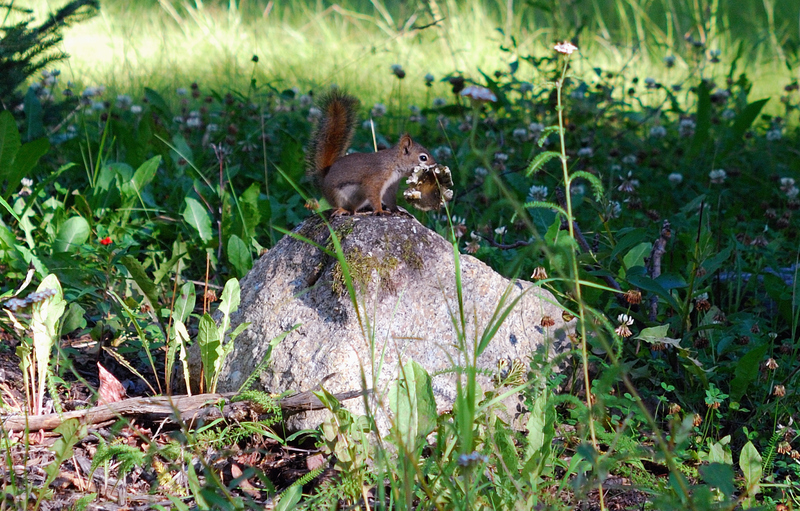 A squirrel eating a mushroom. Another one in a tree. Poor lighting but I like the pose. 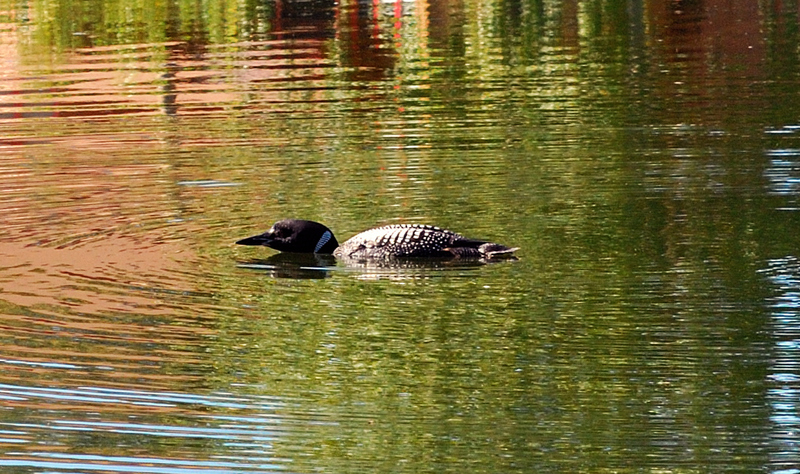 A common loon. 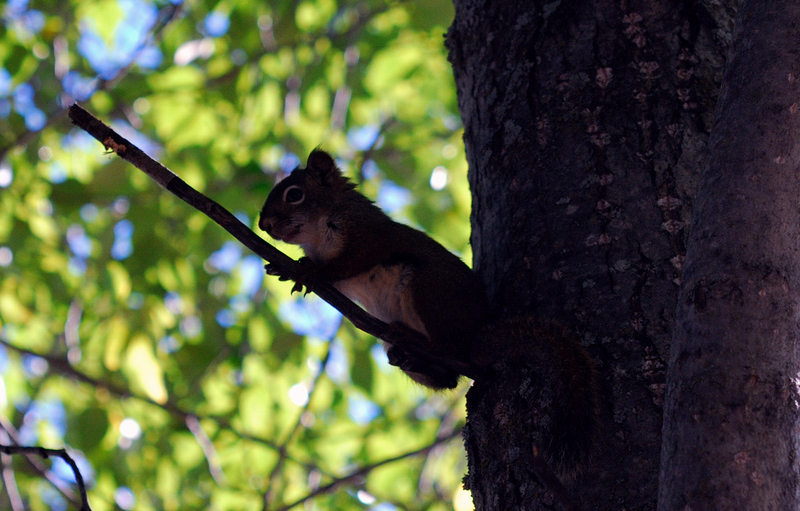 A pretty good pic considering this is a 60mm lens and he’s far away. 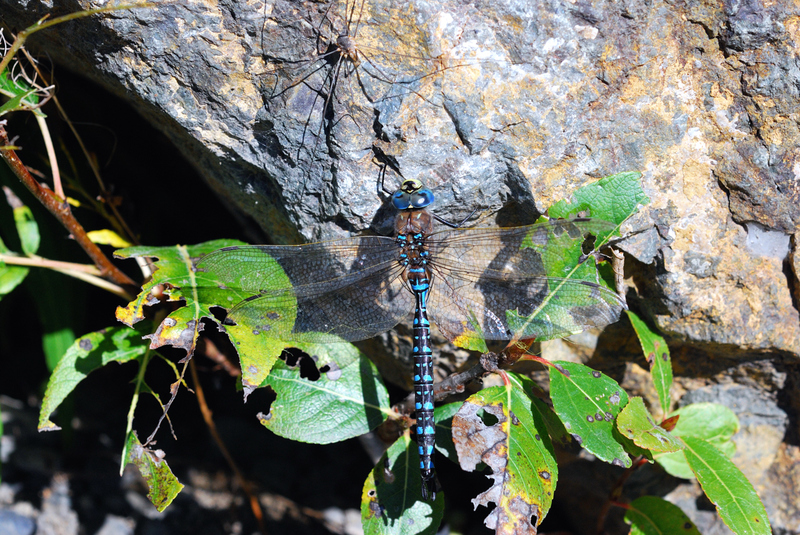 A dragonfly. Sometimes I get too focused on the subject and miss surrounding details, like the spider next to him. One of these days I’ll get a real zoom lens….